Home » For Vet Teams » It’s All Just Puppies and Kittens, Isn’t it? It’s All Just Puppies and Kittens, Isn’t it? 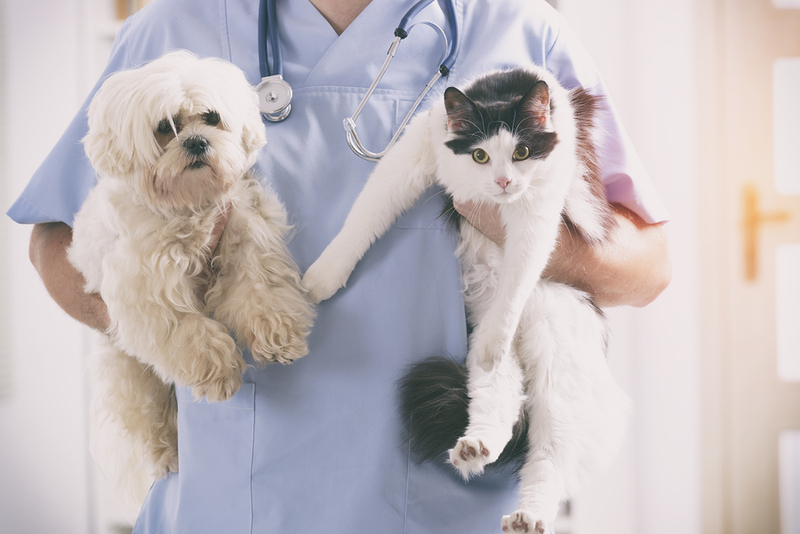 I have been in the field of veterinary medicine for 22+ years. It never fails that when I talk to someone about my job they make the statement “Oh, you get to play with puppies and kittens all day!” (Insert face palm from me). I am a Veterinary Technician. It’s not all just puppies and kittens to me. It never has been, and at this point in my career it has never been farther from the truth. My day starts at 5 a.m., if not earlier, with people calling in sick or running late for their shifts. I get myself ready. Get my husband up for work and my teenage son off to school. Feed the cats, let the dog out and feed her, throw a load of laundry into the washing machine and make the bed in an effort to put some type of appearance of order into my household, all while pulling my scrubs out of the dryer in an effort to make them wrinkle free. Iron? Who has time for that? Who even owns one of those? The Starbucks barista knows me by name as I run in to grab my coffee, making general niceties, thinking of my day ahead. Arriving in a large nine doctor clinic to begin my day, I hit the ground running. Appointments start first thing in the morning, continuing all day long, every 30 minutes with four to five doctors in the mix. Don’t forget the scheduled surgeries – six, seven, eight of them on a given day. What about the non-scheduled work in surgeries? The dog fights, lacerations and don’t forget foreign bodies that always seem to round out an already busy day. Everyone wants their pets to go first. Asking at drop off when they will be ready for pick up. I smile, greet, discuss and educate clients in my daily world with knowledge about veterinary medicine, their pets, and the addition of a few personal relationships thrown in. The receptionists call out “EMERGENCY” and we run, jumping in to help. The hit by car dog that is already struggling, stops breathing. He has no heartbeat. We intubate and start CPR, all while placing an IV catheter on a pet with no blood pressure, wounds too numerous to count and a hysterical owner standing in the door way, sobbing in the arms of her spouse watching as you help attempt to resuscitate their beloved family member. Due to our exhaustive efforts, we are able to get our patient stabilized, he is still critical but now breathing on his own, his owner thankful and sitting by his side as he is in the ICU. Those scheduled surgeries are still waiting to be done, lets the ball rolling on those. Oh, don’t forget that meeting you had scheduled a few weeks ago for today… how do we fit that in? Deftly dodge the sales rep in your lobby as you slip through the reception area in an effort to take a bathroom break. Remember your bladder, your body will thank you later. Lunch? Who has time for that? Thank goodness you keep a few frozen meals in the breakroom just for days like this. As the afternoon continues on, it’s much of the same as the morning, with the addition of a cat that is acutely neurologic and a ferret with low blood sugar. What else can this day bring? Surgeries are finishing up, owners picking up as planned, pleased for the most part with your teams efforts to make their pick-up time work. Appointments are still in progress, those seem to never end some days, do they? The clinic closes at 7 p.m. You walk out the door at 9 p.m. after staying late to help your co-workers finish up and finalize your charts. Tired, but feeling satisfied for all you helped to accomplish today. As you get in your car to go home you think to yourself… “Yep, I just play with puppies and kittens all day. I sure do,” – said no Veterinary Technician ever. 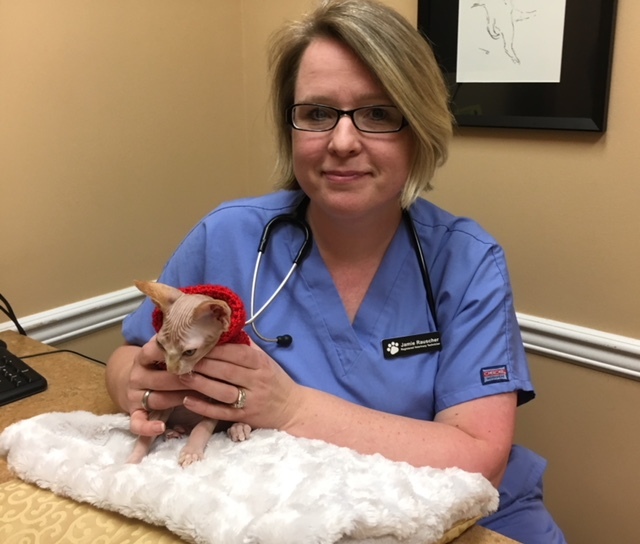 Jamie Rauscher is a Registered Veterinary Technician and Medical Manager of a nine doctor practice north of Atlanta. 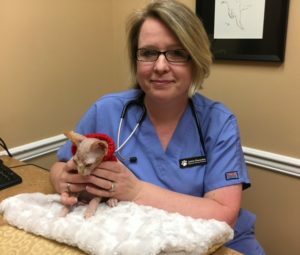 She is President of Georgia’s Veterinary Technician and Assistant Association and serves on several NAVTA committees. Her interests include pain management, sick pet care, and anesthesia as technician empowerment. She is currently pursuing her VTS in ECC.